*10% Discount Cards cannot be combined with any other offer or be used to purchase gift cards. 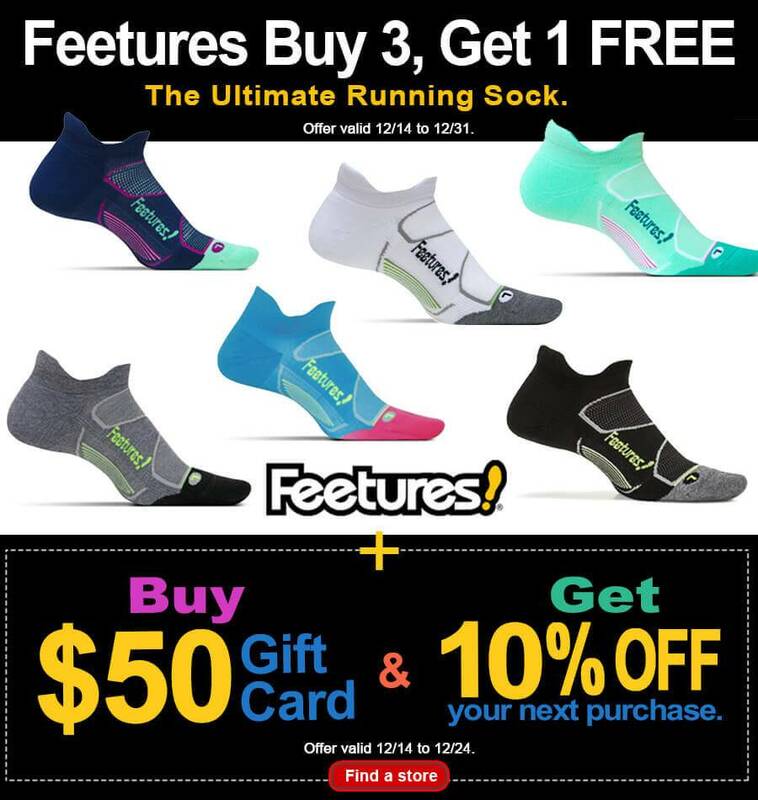 Where to shop Feetures Buy 3 Get 1 FREE? Whether you prefer to shop online or instore, at Lucky Feet Shoes we have a large selection of comfort shoes, wide shoes, walking shoes, running shoes, arch supports, plantar fasciitis shoes, bunion shoes, and custom orthotics. However, if you prefer personalized shoe fittings, great customer service, we have nine comfort shoe stores located in Southern California. Which are located in Costa Mesa, Anaheim Hills, Rancho Cucamonga, Riverside, San Dimas, Long Beach, Temecula, La Quinta, and Palm Desert. We invite you to stop by for a free foot analysis. So, schedule a free foot analysis today!